Hair Restoration specialists from around the world gathered in Los Angeles, CA to teach and share the knowledge to offer patients better treatment options and improved techniques. Dr. Robin Unger has been studying the effects of PRP, and the effect of microneedling, the benefits of using ACell in the preparation and different compositions of the platelet-rich plasma to improve results and make them longer lasting. Dr Robin Unger’s unique technique does not require more than 1 -2 PRP treatments per year to achieve optimal results. Dr. Robin Unger, renowned New York PRP hair restoration treatment physician, directed another workshop on platelet-rich plasma therapy (PRP) for hair restoration in Los Angeles, CA at the annual ISHRS meeting. Dr. Unger has been one of the leaders in education and discussion and advancement of our understanding of PRP. This is the fifth talk she is leading in the last year on this cutting edge technique. More importantly, she feels it is part of her professional mission to create these workshops and give talks to other experts in the field that are looking to improve their ability to help patients with platelet-rich plasma. This annual meeting brings together hair restoration experts from around the world. The goals are to teach and share knowledge in order to be able to offer patients better treatment options and improved techniques. One of the benefits of this meeting is that information can be shared amongst experts and taught to those just starting in the field of hair restoration. Dr. Robin Unger has created a workshop on PRP which brings together an impressive faculty of those in the field of hair restoration, with a specific interest in improving the results that can be obtained from this treatment option. The faculty will be sharing their experience and knowledge. Dr. Robin Unger – Dr. Unger has been studying the potential mechanisms of action of PRP, the effect of microneedling, the benefits of using ACell in the preparation and different compositions of the platelet-rich plasma to improve results and make them longer lasting. Her technique has developed and evolved over the last nine years, and many patients have benefited from her expertise. Dr. Chiara Insalaco – Dr. Insalaco practices in Italy and specializes in hair restoration. 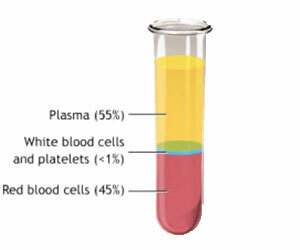 She has studied platelet-rich plasma therapy with Dr. John Cole. Specifically, she is interested in the role played by different methods of activation. Sonication is a new technique which may be able to facilitate the release and activation of more growth factors as compared to other techniques. Dr. Robin Unger is honored to be the Chairperson of the ISHRS conference in Bangkok in 2019.